The Adobe flash player had 2 critical updates released today, according to Adobe Systems, Inc. The 2 security updates for Adobe flash player were released in order to fix 2 major security vulnerabilities in the Adobe web browser plugin. Along with the 2 major security updates, the company also released a security update for its Air software, which is widely used on web applications such as Tweetdeck. The Adobe Flash Player update brings the latest patched version of Flash to v.10.0.45.2 and it applies to all supported systems such as Windows, Mac, and Linux. 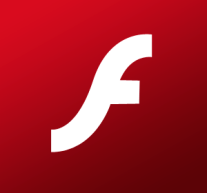 Get the latest Adobe Flash Player security update here.